I hate packing. I hate packing for moving. I hate packing for a picnic. But most of all, I hate packing for a vacation. Don’t get me wrong, I LOVE traveling. But trying to predetermine every outfit and insure that I actually wear them is a different story. Whether it’s one day or 10, I dread pulling out my suitcase and shoveling my clothes inside. During my most recent vacation with my husband, we ended up with three bags for both of us – one being just for shoes! So, I’ve come up with a go to guide to avoid over packing and hopefully make summer vacation planning enjoyable. How Many Shoes Do You Really Need? I am the queen of changing my shoes with every outfit. When it comes to vacation, I don’t want to have limited choices. But I KNOW I will end up wearing the same two pairs the entire vacation. So plan according to what your adventures will be. From experience, I suggest bringing 3 pairs – Sandals , tennis shoes and heels . Assume that you will have at least one fancy outing during your vacay. Pack your favorite dress or skirt combo just for the occasion. If you love maxi dresses like I do, bring a few light weight options to rotate through. DO NOT empty your entire closet into this bag. Chances are, you’ll end up in a bathing suit for most of the trip. Vacation is definitely the opportunity to show off that swim suit you’ve been hiding from the highly chlorinated pools. Leave the color stained and unflattering ones back home where they belong. I like to bring two different styles in my brightest colors. When in doubt, throw in some basic pieces that you can create multiple outfits out of. We’ve all seen the pins that show 10 – 20 ways to wear the same pieces. Why not give it a try! Packing efficiently is all about using the space your have. Instead of stacking clothes flat, try rolling them. It not only saves room but can also eliminate many travel wrinkles. Despite what your fashionista side may argue, you do not need your entire jewelry box. Fitting the themes of the above tips, only bring your most versatile pieces. 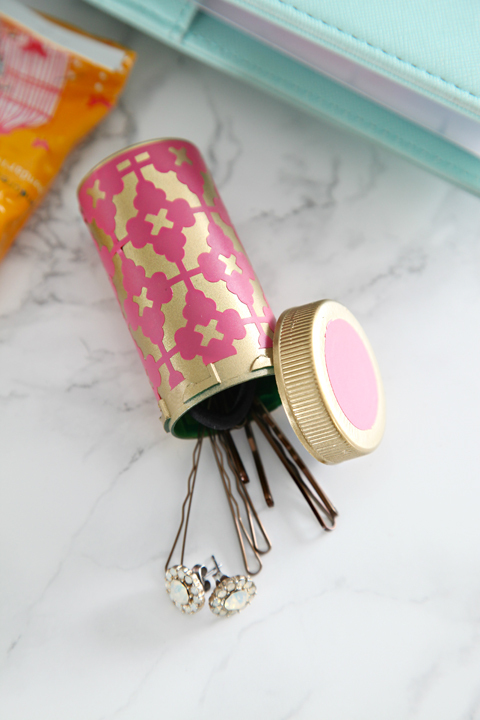 You can even store them inside empty pill bottles to insure no lost earrings. How do you pack efficiently for your trips?